The company responsible for the creation and continued production of Formica was formed in 1913 in Cincinnati, Ohio. By creating Formica material from a mixture of laminate, they can construct countertops in a wide variety of colors and styles to meet many different personal preferences. Formica countertops are among the most affordable and personalized countertop options currently available for your remodel projects. Longevity – Unlike expensive countertop options that can go out of style quickly, including granite or marble, Formica has continued to expand its influence in the construction materials world. Even as new products continue to break into the countertop market, Formica has retained its place as the top seller and shows no signs of slowing. Affordability – Formica countertops are the most affordable countertop material available for home remodels. For this reason, Formica can be found in many homes and businesses across the United States and the state of Oklahoma as the countertop material of choice. Durability – No one wants to invest in a material that won’t last long when shopping for their home remodel. 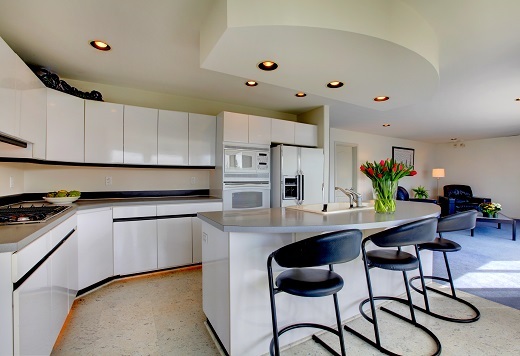 The durability of Formica countertops to resist most common damages make it heavily favored by a wide range of homeowners. Why Timco Construction for Formica Countertops? If you are interested in remodeling your kitchen and would like to learn more about Formica countertops, the experts at Timco Construction would love to help you. We can help determine the materials for your kitchen countertops as well as provide a quote for your needs. Give us a call at 918-779-7330 for immediate service and pricing today or send us a message!